The BIGIT Technology Show, with two concurrent conferences delivering on ideas and future perspectives on application of Big Data and IoT (Internet of Things) in various industries. The Internet of Things allow insurmountable devices, services and people to connect and exchange information and relevant data all over the world. Since IoT systems will be ubiquitous, challenges regarding security and privacy issues will appear and this is also one of the biggest concern for users when it comes to their privacy. Read on. “Halodata” is saying Hello to you, Malaysia! Halodata is a value added distributor located in Singapore and Indonesia. They are now trying to set foot in Malaysia and introducing to the Asean Market, providing solutions in data security, enterprise mobility and business continuity landscape from multiple award-winning vendors from around the world. Their services including secure and portable data storage solutions, remotely managed data services and many more in protecting data on million devices in more than 40 countries. Halodata is also the distributors and in business continuity with Sureline Systems, Unitrends and HEROware. During the BIGIT Technology Show day, Halodata showcased series of their products and Mr. Arif Budiman Bastian, the IT Solution Consultant from Halodata Indonesia, explained that their latest thumb drive, requires ID and personal password to be able to access into the data. So if it happened to be stolen, the data cannot be accessed. Apart from that, the data stored inside can also be protected and transfered back to the owner of the thumb drive as long as there is internet. 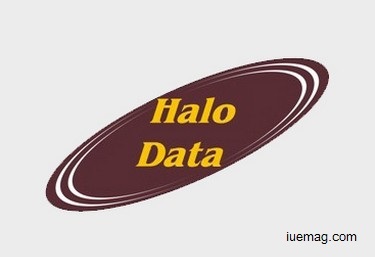 Halodata, as an information security products and solutions distributor is working towards to being a leading one by providing the best performances oriented solutions and products with high quality, great innovation and closing data loopholes. Technology is so fast growing that eventually many companies from different sectors are keeping their pace on par with this development, big data and internet of things (IOT) are two crucial elements to ensure the management systems work really well in an organised manner. Information Technology Security has always been a topic that goes on revolving users when it comes to technology. Halodata, as data security expert, will wash your worries away! Any facts, figures or references stated here are made by the author & don't reflect the endorsement of iU at all times unless otherwise drafted by official staff at iU. This article was first published here on 17th October 2015.